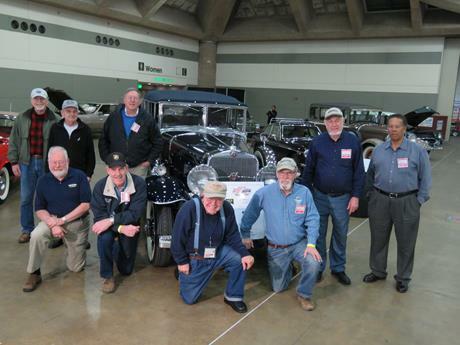 On February 6th, nine Chesapeake Region members brought their antique cars to display at the 2019 Baltimore Auto Show. Many drivers, and members who helped manage and set up the event, assembled for a group photograph. 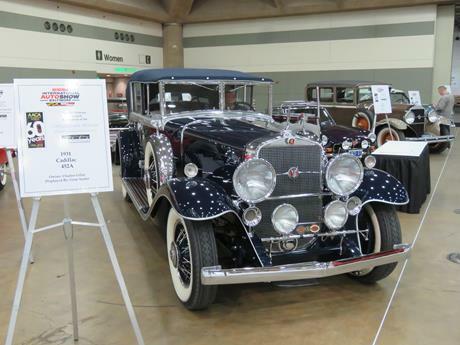 Featured was the 1931 Cadillac 452A of Charles Gillet, displayed by Gene Sauter. 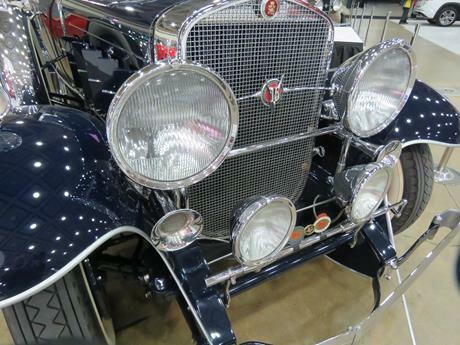 The Cadillac glistened in the bright lights of the Baltimore Convention Center. 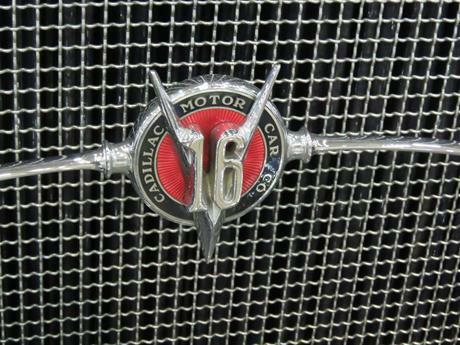 And, under the hood - a V-16 engine! John Young displayed two of his vehicles. 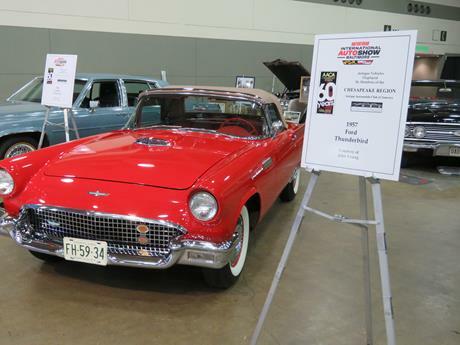 Here is his 1987 Ford Thunderbird. 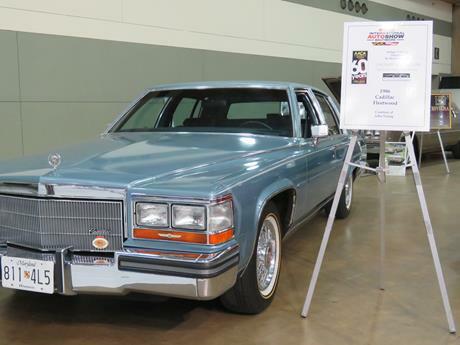 John's other vehicle displayed was his 1986 Cadillac Fleetwood. 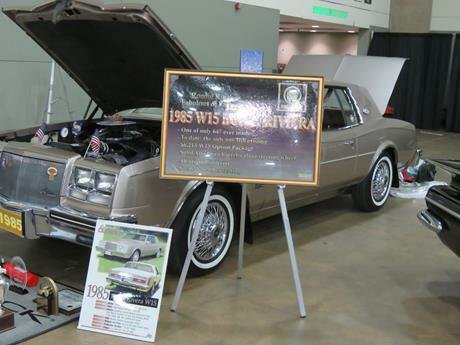 Ron King displayed his 1985 Buick Riviera. 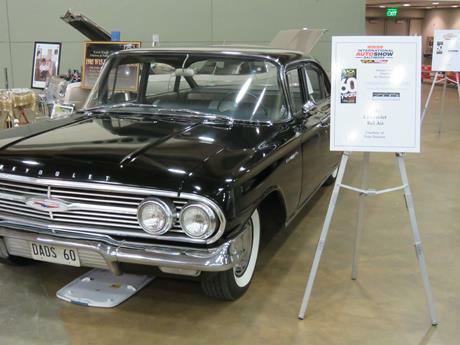 Tom Dawson's 1960 Chevrolet Bel Air. 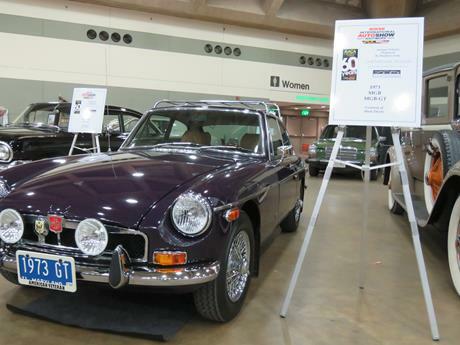 Mark Deeds displayed his 1976 MGB-GT. 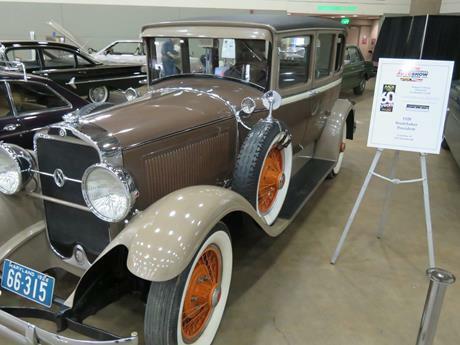 Pat Wenderoth's 1928 Studebaker President. 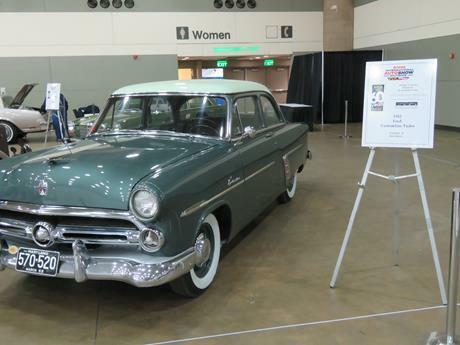 Ken Brier's 1952 Ford Customline. 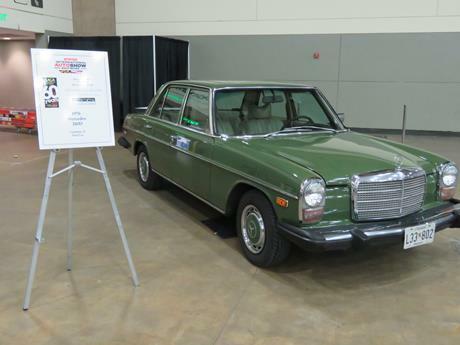 Paul Lee's 1976 Mercedes 240D. 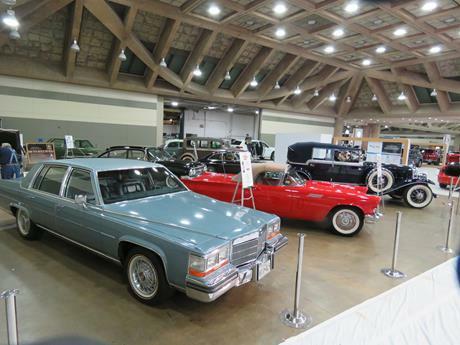 Our annual antique car display at the Baltimore Auto Show always draws a lot of attention and is a real crowd pleaser. We look forward to participating again in year 2020.